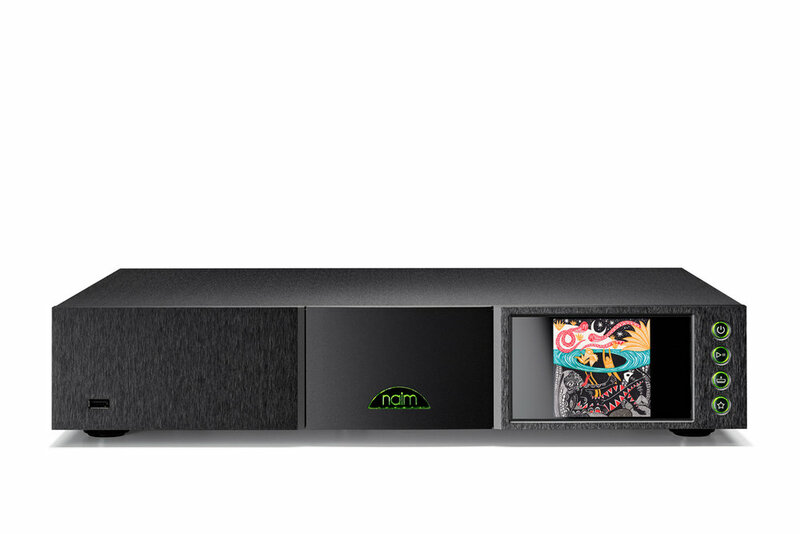 Naim's latest network players have been engineered on the basis of a completely new streaming system. Three years in the making, this innovative, Naim-designed digital technology surpasses anything they’ve done before. Combining state-of-the-art DSP with a rich, analogue soul, their network players deliver engaging, immersive sound quality to get the very best out of your music, whilst retaining Naim's classic styling. 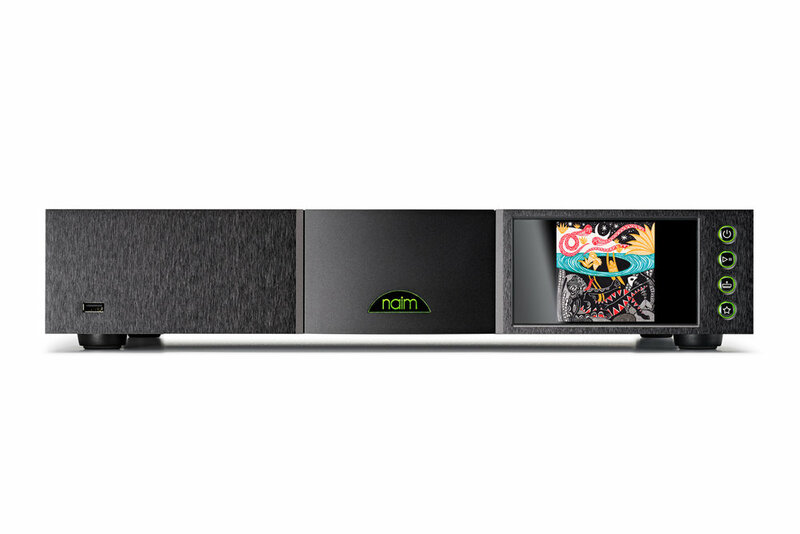 The range includes the ND5 XS 2, NDX 2 and ND 555 – the first network player in the Naim 500 Series and the only one to match its power and audiophile-quality sound. The ND555 reference network player is quite simply the best source component Naim have ever developed. Drawing on decades of digital and analogue engineering experience, the ND 555 marries Naim's innovative new streaming platform with classic Naim analogue technology. It features a 40-bit SHARC processor with advanced signal processing, a suspended brass sub-chassis to isolate sound-critical circuits from vibrations and the best external power supply they’ve ever made. Whether you’re listening to Bonham’s solid groove or Coltrane’s dizzying scales, the ND 555 lets the music flow with astonishing ease and uniquely engaging musicality. Partnered with Statement or 500 series amplification, we believe the ND 555 is as close to live music as it gets. 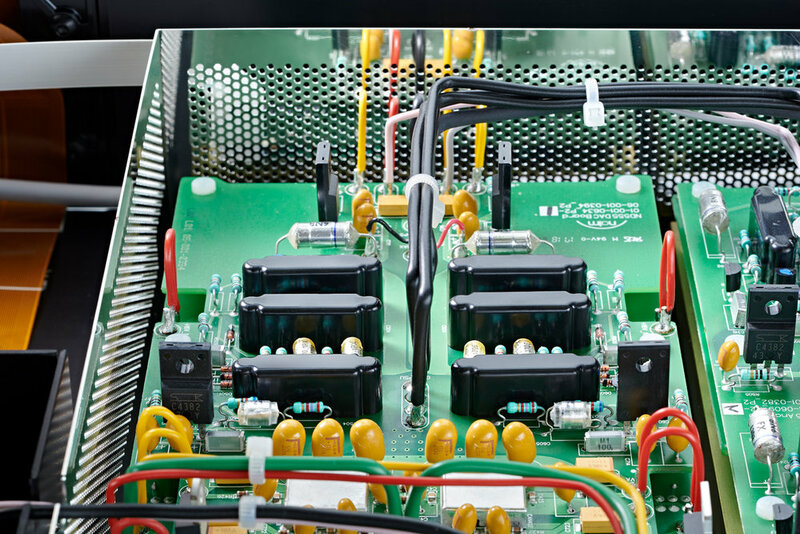 Naim’s renowned DR regulator technology, as used in their range of amplifiers and power supplies, makes its first appearance in a network player, providing ultra-pure DC voltage to the sensitive audio circuitry in the ND 555. The analogue stages use only high-grade through-hole components and are suspended on sprung sub-chassis with heavy brass plates to minimise the effects of microphony. The ND 555 is the result of over four decades of audio engineering. From Naim's state-of-the-art streaming module to powerful, natural-sounding audio stages – every element of this network player is built on their design DNA, giving it that distinctive, captivating Naim sound. Developing a new streaming platform was one of the biggest projects Naim has ever taken on. Naim engineers across all disciplines worked for three years to create a system that could make the most of online streaming services such as Spotify and Tidal while adding the future proof flexibility through Chromecast built in. The new streaming platform is complimented by a large full colour display, making the ND 555 second to none in terms of both audio performance and user experience. Isolating digital and analogue circuitry. 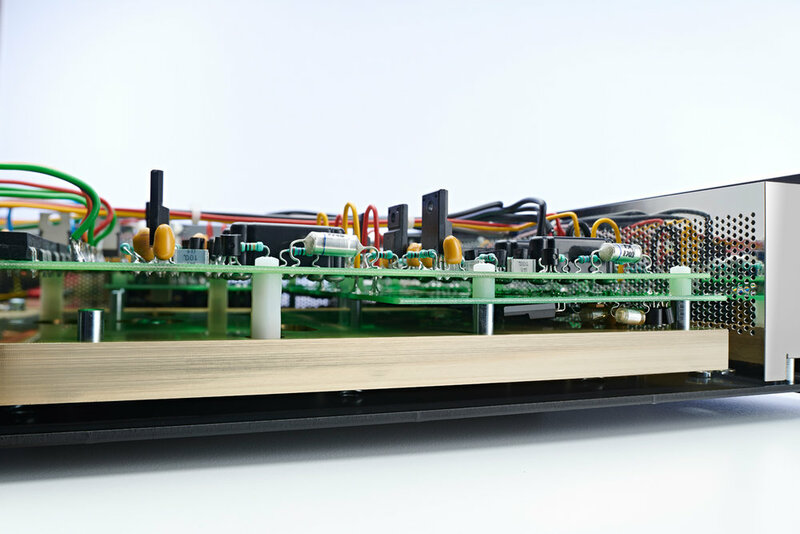 During development, Naim engineers produced several chassis prototypes to test different ways of isolating the ND 555's digital circuitry from its delicate analogue stages. a simple shield would have reduced the interference to a degree but the team wanted to find a more effective solution for Naim's reference player, finally arriving at completely separate housing within the main chassis it acts as a Faraday cage shielding other components from electrical noise, thus helping to increase the ND 555's performance even further. The ND 555 uses a total of 13 Naim DR regulators to produce ultra clean voltage to the individual audio stages. Designed in-house to maintain a stable DC output voltage regardless of fluctuations in the supply voltage or the current draw from the output , Naim's DR regulator allows their circuits to operate at their absolute best with minimal noise and interference. Moreover the ND 555 power supply is housed in a separate unit to keep electro magnetic interference from the oversized toroidal transformer at bay. 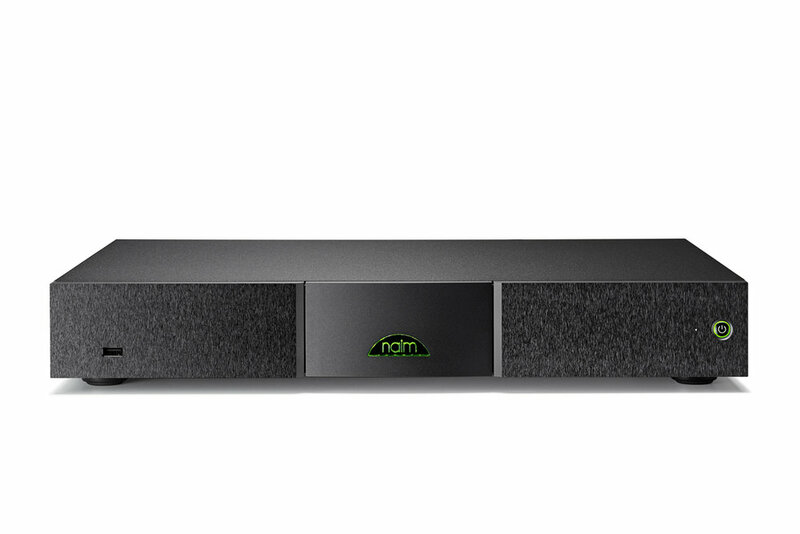 Naim's main focus in developing the NDX 2 network player, however, was its performance. Along with their bespoke streaming platform, Naim implemented an upgraded DAC and discrete analogue stages. These and numerous other improvements over its acclaimed predecessor make the NDX 2 a sonic force to be reckoned with, offering highly immersive and lively replay quality. The Burr-Brown® PCM1792A digital-to-analogue converter working alongside Naim's new streaming platform is one of the best available. They improved its performance even further by implementing their own digital filters and adding a discrete current-to-voltage converter immediately after the DAC. The streaming section of the NDX 2 uses the latest Naim network card featuring lownoise, high-speed low-voltage differential signalling (LVDS) to route the digital audio signal. The higher speed is capable of decoding all HD audio formats at up to 32 bits/384 kHz or DSD128. Rather than the source acting as the digital timing master, Naim's new streaming board turns things around and allows their DAC clock to control the flow of audio data. The data is integer-over-sampled in a SHARC DSP to an incredible 40-bit accuracy before it’s fed to the Burr-Brown DAC. Register your interest with us to be the first to receive updates and availability on Naim's New Network Players.